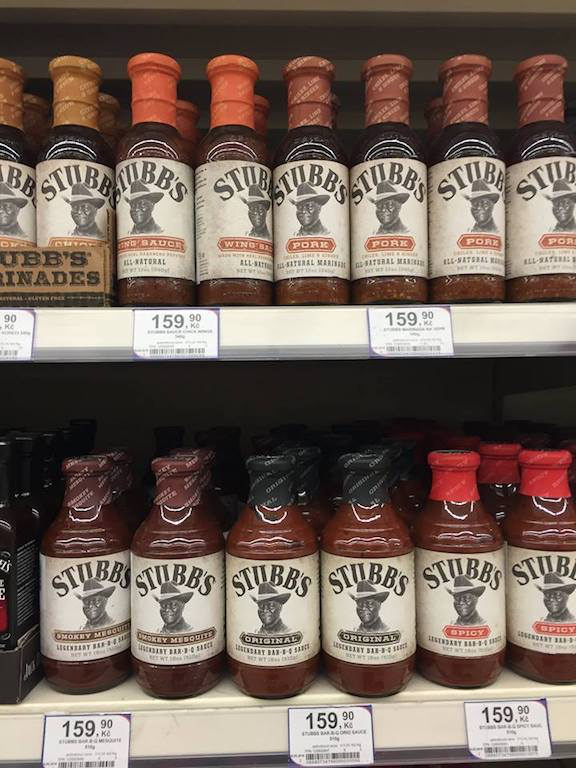 Why on earth is Stubbs BBQ sauce for sale in a Prague grocery store? When people move, their food moves with them. In the last thirty years there has been a wave of internationalism taking over restaurant kitchens as the world becomes more globalized. But when people move they are doing more than transporting their own traditions to a new location. They open a dialogue between their relatives and friends that remain in the other country. Because of that, ideas about food move both ways. While grilling meat has been around since the invention of fire, Texas-style barbeque recently made its way across the Atlantic. How did this barbeque connection between the Czech Republic and Texas first begin? Many factors can cause a group of people to migrate, and for Czechs in the mid-1800s, freedom and democracy were two main considerations. America, and especially Texas, appealed to many Czech immigrants coming from Moravia and Bohemia, two of the three regions in the Czech Republic. Texas-Czechs can be found all over the state but are mainly concentrated in East Texas. You can find Czech influences in popular culture in the famous Czech Stop in West, Texas and other stores that sell kolaches. Austin saw another reminder of Czech influence with the opening of Batch Craft Beer & Kolaches last summer. There you can pair sweet and savory kolaches with a pilsner-style beer, another Czech gift to the world. Texans with Czech heritage helped share grilling preferences such as Texas-style spice rubs and sauces. In the Czech Republic, grilling is an important part of weekend relaxation that pairs nicely with hanging out in parks and drinking beer. While sausage and chicken are the most common grilling choices, beef has recently become more popular. Czechs who want to add some spice to their vepřové maso– pork meat- can add Stubb’s BBQ Sauce which you can find in common grocery stores. Stubb’s has a large international presence but the prevalence of Texas communities with Czech heritage gives another dimension to the study of food migrations. Many Czech immigrants to Texas continued to speak the language of their native country for decades. Linguists associated with the University of Texas have documented the development of the new dialect that developed on the Texas Czech Legacy Project website.